I think this is a very Canadian problem. 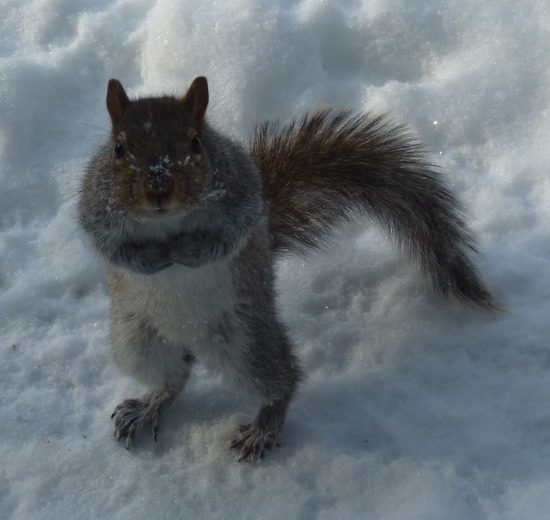 Squirrels chew holes into the top of garbage-cans if the cans are keep outside during the winter. They don't chew any holes into the side of the can. They sit on top and they exercise their teeth there. The smell of food might motivate them too since this is only a problem during the winter month. I have found a very simple remedy for that: Keep snow on top of your garbage can. It seems they will only chew on the garbage can if they can do it without sitting on cold snow. I think they are just a little bit hungry. They chew on the can if it is easy and comfortable otherwise they don't. A bit of snow on garbage cans keeps squirrels off. Don't get me wrong. I like squirrels and other wild animals and I find that any city should be designed such that there is nature and space for both humans and animals. 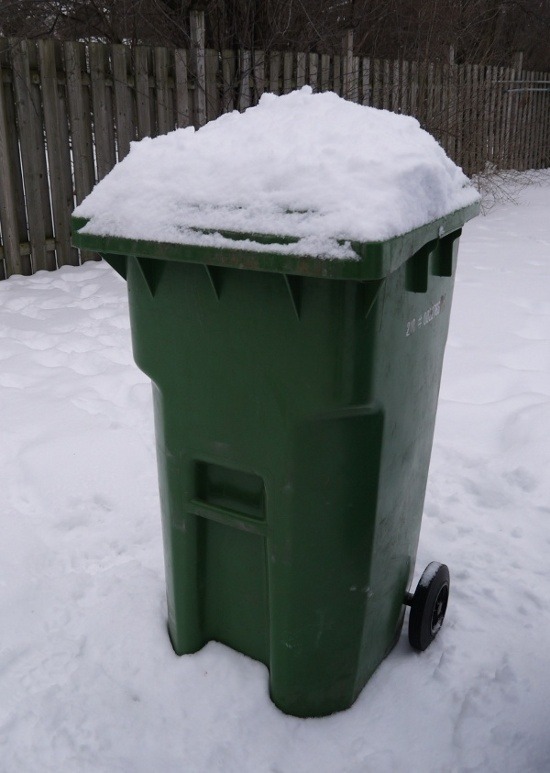 The snow on the garbage cans solves the problem without harming humans or animals. Other methods like pepper spray or pouring ammonia into the garbage cans are more expensive and create hazards for animals or humans especially children.